For a start, I blatantly set up mostly the same categories that the Julia lang Discourse uses. If anyone has suggestions for better category names, additional categories (especially under the Domains top level category) please speak up. Remember that Discourse only has two levels of categorization, so we're not looking for any complicated hierarchical setup. The top-level categories look good to me. Added the first and third of those. I'm not sure about the name website for the subcategory under Announcements, thinking that it's kind of specific. What about Links, so that it could include press releases and similar PR material relevant to Redbol? For the last, I was also thinking of a Feature Request/Proposal category - maybe the contained topics could be polls. Also, with the idea that Red and Rebol can be considered divergent in some significant ways, should we mirror all the relevant categories to accommodate both? Will it cause confusion for new users to see mixed topics under one category or should that be addressed by tagging? Perhaps use tagging to distinguish otherwise we end up with lots of parallel groups. Stack overflow seems to cope using tags. Well, "working" is subjective, according to Jeff Atwood (who also created SO). He, in particular, doesn't think that tagging works well and that it rapidly becomes a mess (you can google threads on this on the Discourse Meta). Others seem to think that it works, or at least works if you limit the number of tags you allow per post, or limit tagging to choosing from a set of tags created by users with higher trust. Personally, I think tagging is useful, but we should limit how it's applied, as mentioned above. 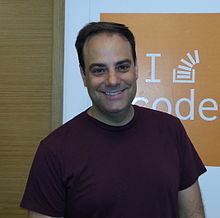 Joel Spolsky was a co-founder of SO. But it's obviously the effort of a great many people.